The World Cup kicks off and we have a lovely month of football in front of us: 32 nations and 64 matches. ”Twenty-two men chase a ball for 90 minutes and at the end, the Germans always win,” as Gary Lineker once put it. But this time Gary is wrong, according to you. Germany will not win the World Cup in Russia. Brazil received 14 365 votes in total and was the clear number one choice. It was extremely close between France, Germany and Argentina for the second spot but the French team earned 81 more votes than Germany. Only 839 of you believe that these sharp-looking blokes will lift the golden trophy on July 15th. 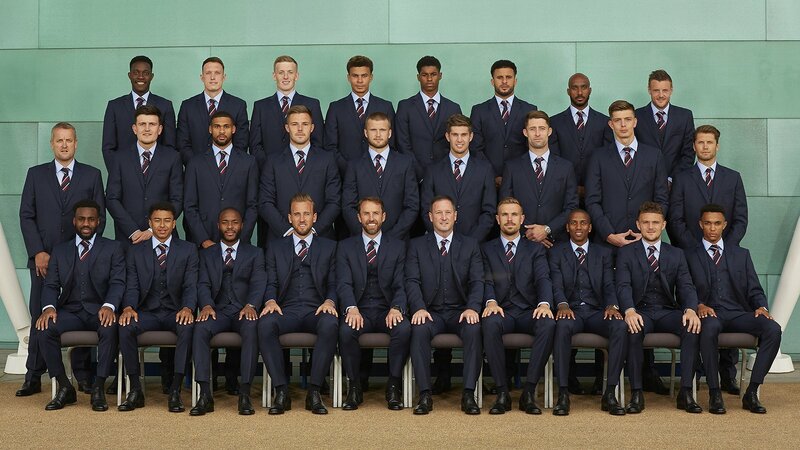 Get out there to prove us wrong, Eng-er-land! Which participating country's users have the strongest faith in their national team? The answer is Uruguay, Portugal and Argentina. In Uruguay 66% of the voters picked La Celeste to go all the way. 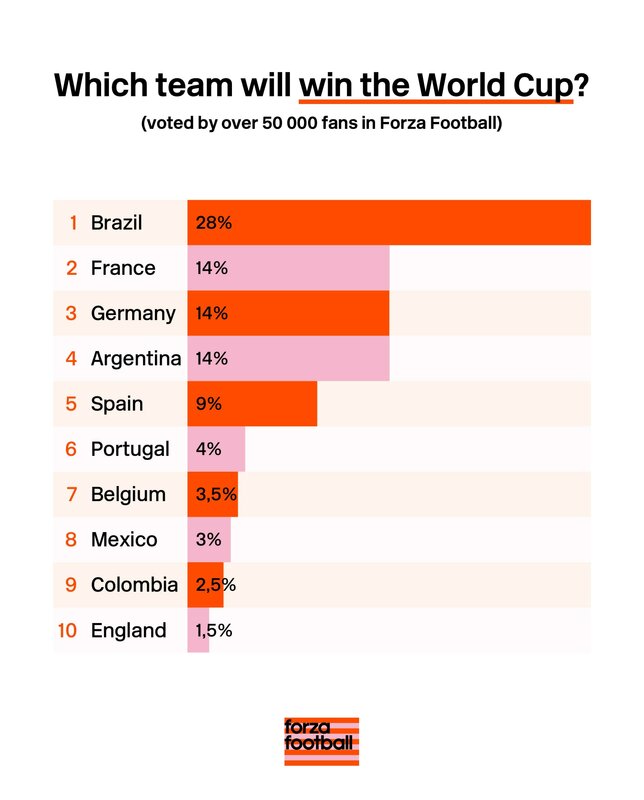 The reigning European champions Portugal will win the World Cup too, according to 58% of the Forza users in Portugal. In Argentina 55% of the participants believe that Messi & Co will win this time. Once again thank you for participating in the poll! We will publish the rest of the results here on the blog throughout the tournament. you* = The countries with the most poll participants were USA, Mexico, Italy, Colombia, Denmark, Sweden, Great Britain, India, Brazil and Chile.